Introduced earlier this year, the Bamboo Sketch is Wacom's latest precision stylus designed to work with the iPhone and the iPad over Bluetooth. It's meant to mimic the feel of traditional pen-and-paper writing and drawing with interchangeable pen nibs and customizable shortcut buttons. Priced at $80, Wacom's new stylus isn't a better option than the Apple Pencil for iPad Pro users, but for the iPhone and other iPad models, it's worth checking out. Design The all-black Bamboo Sketch looks sleek and stylish. It's made from a textured plastic that's super grippy, so it's easy to hold and feels comfortable when writing. It's both thicker and heavier than a regular pen, and while it is well-balanced in the hand, my hand did get tired while writing after about 15 to 20 minutes because of its weight and diameter. Size wise, it measures in at 142mm long (about the size of your average pen) and it is 10mm in diameter. Its official weight is 18 grams, which is actually lighter than the Apple Pencil. 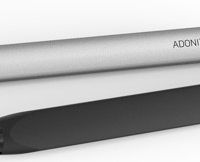 Accessory maker FiftyThree today announced the availability of the company’s popular Pencil stylus in Apple retail stores. Though the stylus has been spotted in select Apple stores in recent weeks, this announcement marks the first time the iPad stylus officially has been available in the Cupertino company's brick and mortar stores. Apple also recently began selling Pencil through its online store. We’re proud to kick off the new year with a special announcement: Pencil is now available at Apple! 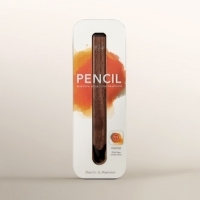 For the first time ever, see Pencil up close and get it at your local Apple store. 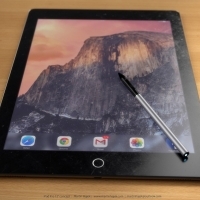 Launched in November 2013, Pencil is a Bluetooth stylus designed for drawing and other creative activities on the iPad. 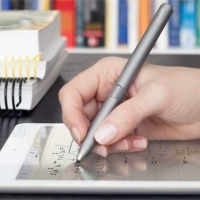 The stylus includes palm rejection, surface pressure, and other functions such as erase and blend. Pricing starts at $49 for a graphite version and climbs to $59 for the hardwood walnut model. FiftyThree’s Pencil iPad stylus is initially available in Apple stores in the US, UK, EU and Canada, with a global roll-out to follow soon. While FiftyThree expands its retail presence, Apple is rumored to be preparing its own stylus to launch alongside the company’s rumored 12.9-inch "iPad Pro", claims KGI Securities analyst Ming-Chi Kuo. 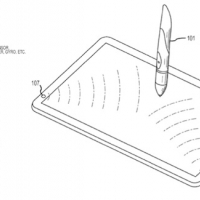 The optional stylus accessory would presumably appeal to enterprise and creative users who can use the stylus to take advantage of the iPad Pro’s larger screen.